Stuntman Terry Notary didn't always walk like an ape. A few days into rehearsals on 2000's live-action How the Grinch Stole Christmas, his first-ever movie gig, Notary was tasked by director Ron Howard with performing the Whoville acrobatics. He took the assignment a step further: Not only would the Whos train in the art of Cirque du Soleil, the performers bringing the fictional population to life would have a specific way of walking and talking as though bound by a common gene pool. Howard loved the idea and gave Notary an entire studio -- full of trampolines, nets, and presents -- to create a "Who School," where he would spend two months preparing. Nearly 10 years later, "Who School" evolved into "Ape Camp" in service of the rebooted Planet of the Apes franchise, and Notary himself has developed into a professorial movement choreographer. For the third and latest installment, War for the Planet of the Apes, his simian boot camp in Vancouver, Canada trained more than 20 actors for six weeks in the art of simian strutting. Despite the motion-capture enhancements available today, Notary, who straps on a gray body suit to play the chimpanzee Rocket in the series, continues to preach the fundamentals when it comes to rehearsing with his group of learning apes. For the first two days, Notary puts actors in chairs to work solely on breathing, eventually graduating to sitting and standing exercises. Though new cast members are often eager, Notary prohibits anyone from walking on all fours or trying out the apes' metallic arm extensions right away. The camp's primary goal is to help find their inner ape, to release them from the social conditioning that makes us human, and arrive at a neutral, more ape-like state of being. Then he supplies the necessary appendages. "So many actors come in and they tell me this is the most profound thing that I've ever been through as an actor. I feel like a better actor for it," Notary says. "It's not about playing an ape, it's about first figuring out who you are... the second they shake my hand, I'll just start working on them and seeing their energy and how the mind is working with the body, or lack thereof." Notary, 48, used his gymnastics background and theater degree at UCLA to land a spot with Cirque du Soleil, which taught him the values of rehearsing and making mistakes. Those proved instrumental when he first began studying apes as a movement choreographer for Tim Burton's 2001 remake of Planet of the Apes, which used full body suits and heavy makeup to transform actors into chimps and gorillas. It was a learning experience. To "become" ape, Notary relied on videos, books, and trips to the zoo. But it wasn't until he interacted with two chimps that he realized mimicry was the wrong pursuit. "We're already apes," he reaffirms, a statement that is fully felt by the end of Ape Camp, when the group treks through the forest in character, communicating only through sign-language and sounds. It is an exhaustive and entertaining classroom environment that makes every actor stronger, and more physically fit. "I love over-preparing," says Notary, who plans to start an exercise company called Quadrafit, based on his low-impact, full-body ape workouts. "You can't over-prepare enough. That's the reward. I get to delve into something where I'm actually going to learn about myself. I'm going to pull something that's real from within myself and express that through another character." 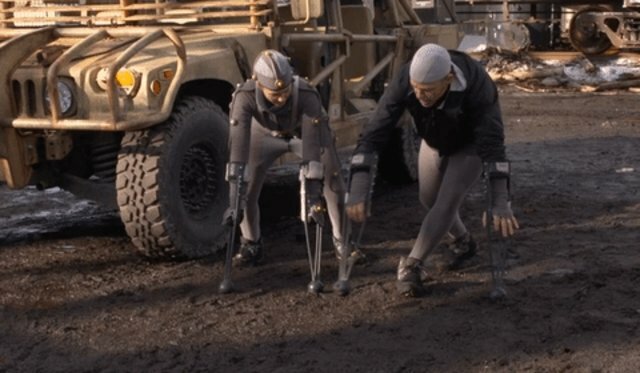 Notary first realized the opportunities and subtle details that motion capture performances brought to storytelling while working on Avatar in 2009. "My biggest fear was, 'How are they going to capture an emotion that's silent and almost invisible?'" Notary says. "It translates all of that." Since then, motion-capture capabilities have only excelled, and Notary's resume has been filled with just about every notable CGI-driven movie. His ape background came in handy most recently embodying King Kong in March's Kong: Skull Island, and he's currently in the middle of shooting Avengers: Infinity War, playing two characters all while coaching Mark Ruffalo and Josh Brolin as The Hulk and villain Thanos, respectively. 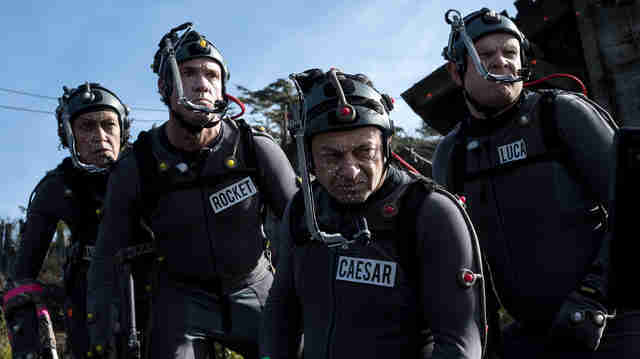 Notary hopes more recognition for actors such as Andy Serkis, who embodies Caesar and is someone he calls a best friend, will come as a result of their performances and requisite dedication. "The thing I enjoy the most is that it's like theater," Notary says of motion capture. "[Josh Brolin was] telling me how much he really likes this whole experience... it's going back to true, true performance. Everyone that's experienced it, that's gone through the motion-capture process, understands that -- they get it, they feel it, they've felt it. I feel like the more big name actors that are really good, like Josh, are doing things like this, the more other actors might go, 'I'm going to try that.'"